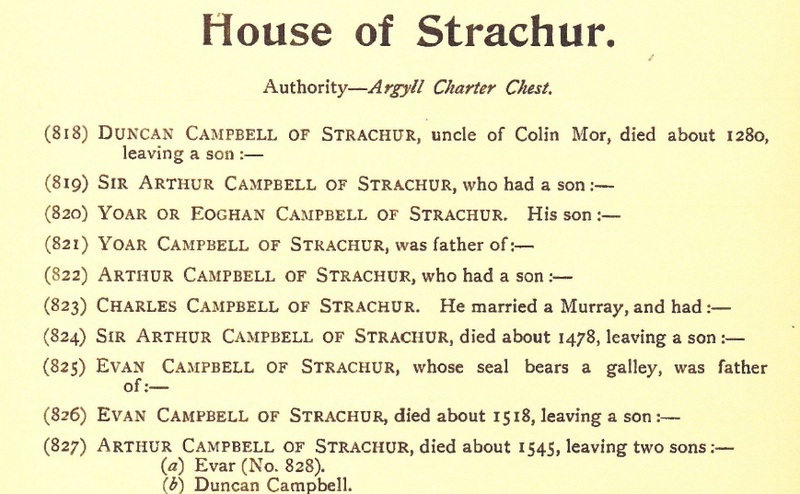 My search for John Campbells led me to descendants of the House of Strachur with a line back to the 13th century. Unfortunately I became bogged down with a number of red herrings from this family line. With family first names being passed from generation to generation and Scottish Iains becoming anglicised Johns it was difficult to identify those that I needed to follow. Although not helpful for my search interesting tales and letters emerged including the fact that although the Argyll family assumed the leadership of Clan Campbell from the Strachurs if a Strachur Campbell visited Inverary, the seat of the Dukes of Argyll, the Duke would give him precedence upon entering. This entry was posted in Uncategorized and tagged Argyll, Campbell, Seeking John Campbell, Strachur. Bookmark the permalink.